Curcumin is a traditional Chinese medicine that is used to treat diseases that are associated with abdominal pain. Furthermore, it was original an ancient Hindu medicine that was used to treat swelling and sprains. This medicine was first used thousands of years ago by the people of China and India. 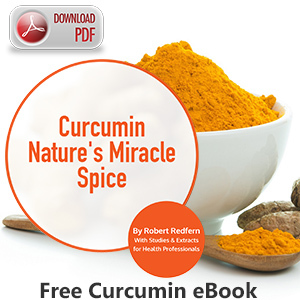 In fact, there are several stories that suggest that curcumin was used as far as 10,000 years ago. For instance, there are stories that claim the ancient Polynesians carried turmeric and curcumin with them on their voyages across the Pacific Ocean to the island of Hawaii. Today, Hawaiians still make use of this medicine, which they call Olena. Turmeric has been used as a saffron (a spice) substitute in China as far back as 1280 AD. In addition, it has been used as a substitute in Europe for around 700 years. 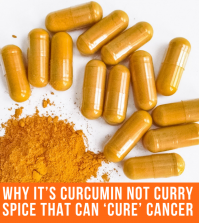 Curcumin (a curcuminoid) is one of the major healthful ingredients in the turmeric spice. It is said that curcumin gives turmeric its unique yellow color. In 1815, scientist first isolated the curcumin molecule. In 1870, scientist obtained the curcumin crystalline form. In 1910, scientist determined curcumin’s overall structure. Turmeric is a spice that grows in tropical regions of Asia such as India. It has been used as a herbal remedy for numerous years, particularly in Indonesia, India, and China. In India, turmeric is considered to be highly auspicious and it has been used extensively in various ceremonies for numerous years. Even today the spice is used in many ceremonies from religious ceremonies to wedding ceremonies. In medieval Europe, the turmeric spice became widely known as Indian saffron. Turmeric was often used as an alternative to the far more costly saffron spice. Nizamabad, an Indian city, is the world’s most important trading center and largest producer of turmeric. Thus, Nizamabad is often referred to as the “Turmeric City”. Friedrich Ratzel reported in 1896 in The History of Mankind that the preparation of the turmeric powder has a highly ceremonial character, especially in Micronesia. For example, the roots of the turmeric are grounded by four to six women in special buildings. The day after the roots are grounded, three old soma nuts and three young coconuts are offered with a prayer by a priestess. After the ceremonial prayer, the dye is then wrapped in banana leaves, baked into cakes, or hung up for later use.